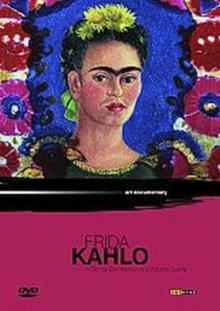 Frida Kahlo (1907-54), wife of artist Diego Rivera, is one of the most widely celebrated women artists of the twentieth century. She lived at the political and artistic centre of the Mexican Revolution, but her work is uniquely personal. Many of her paintings reflect the anguish she suffered following an accident when she was 16 which left her in constant pain and unable to bear children. Both beautiful and frightening, Surrealist Andre Breton described her art as 'a ribbon around a bomb'. This programme was filmed in Mexico, particularly at the Blue House in San Angel where she lived, and provides a visual survey of her life and career.